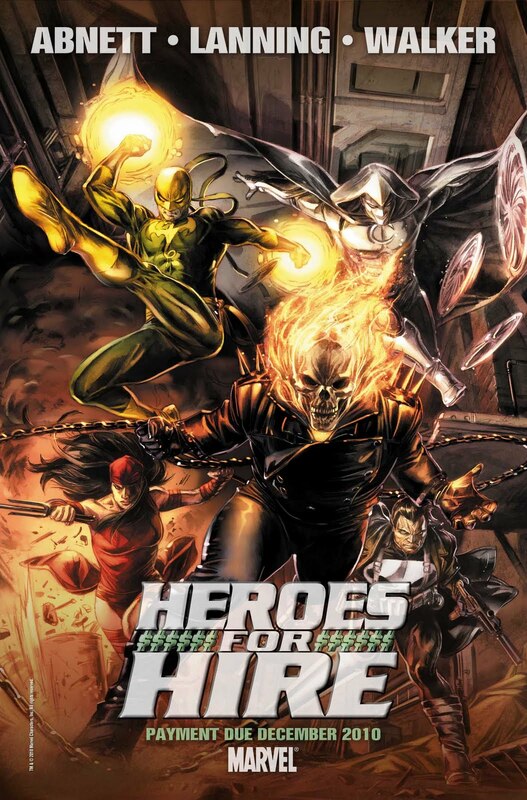 Marvel have confirmed our suspicions that Heroes for Hire will return in December. The announcement image shows fan favourite Iron Fist, Moon Knight, Elektra, Punisher and Ghost Rider... At this rate I may have to put it on my pull list! Although we have no further information than what is below, we'll keep you updated.